Thermal paper, Hi-Temp, for MF4t, 50 rolls/case. Thermal paper, Standard, for MF4t, 50 rolls/case. Thermal paper, Heavy Duty, for MF4t, 50 rolls/case. Thermal paper, Premium, for MF2t, 50 rolls/case. 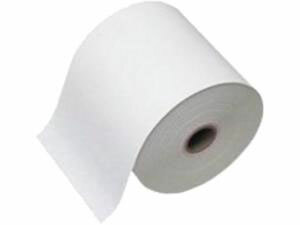 Thermal paper, Standard, for MF2t, 50 rolls/case. Thermal paper, Premium, for MF2. 50 rolls. Receipt Paper, Direct thermal, 4" x 110' Premium, 0.75" core, 2.25" outer diameter, 36 roll case. DT Label (Receipt STD, 3.15 inch x 140 feet, 50 Rolls/Carton). Also available as a roll (Part# 740533-101-R). Premium Paper for the OC2, Non-Label, 2.25" x 125', 50 roll case. Long-life Non-Label Thermal transfer Paper for Printpad, 4.4" x 52', 50 roll case. Standard Paper for PrintPAD Series, Media, 50 roll case. Heavy Duty, non-label paper, 3.15" x 70', 50 rolls/case) for the MF3. Premium Paper, Thermal, 3 inch - 50 roll case. Standard Paper (273 feet, 50 roll case) for the 80/280/610.